The month of Elul is a time of heshbon ha-nefesh, of weighing an account of our souls: Who am I today? Where have I been, where do I want to go? As such, it is a time of highly individual reflection; Elul provides a special opportunity to accomplish the personal preparation needed prior to the communal (and global) work of the ensuing High Holy Days. During Elul, we focus on getting our own house in order. On self-alignment — of body, mind and spirit. The tradition teaches that God is most available to assist us during Elul. As the Tanya teaches, God comes out of the far-away, transcendent Palace and descends into the Field of our lives: God is amongst us, immanent; right there with ready compassion and love. Taking advantage of Elul's unique energetic opportunities, on this retreat we will focus on aligning and tuning ourselves for the holidays and beyond. Since the work is so deeply personal, we will largely carry on in silence. We will sit; we will chant; we will do Chi Gung and walk in nature. And we will pray. In our bodies, we will especially concentrate on that place of ultimate alignment: the spine. Throughout, we will allow ourselves to mindfully examine regrets which come up as we survey our lives and the prior year. 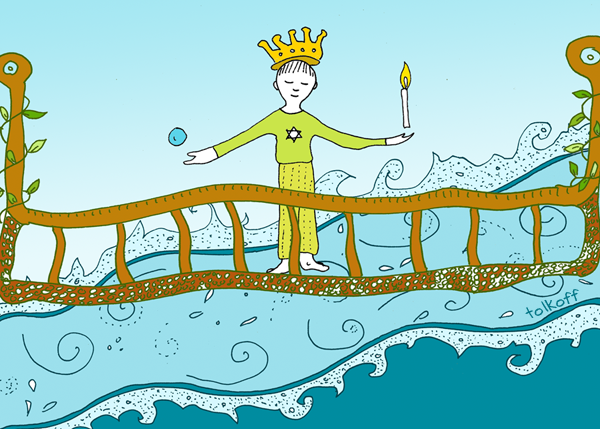 Using the Jewish technique of Teshuvah mei-Ahavah— of letting love turn things around — we will practice acceptance and, most of all, self-compassion. This year's retreat will be led by R. Andrew Hahn (the “Kirtan Rabbi”) and Metivta teachers. The “Kirtan Rabbi” is internationally known for pioneering call-and-response meditative chant in the Jewish world. As both teacher and musician, he unites celebration of Torah and song in a way that allows modern Jews to discover renewed energy within their Jewish or spiritual practice. The fee for the retreat is $350 for single occupancy and $250 for double occupancy. The fee includes room, all meals, and retreat costs. Financial aid is available.